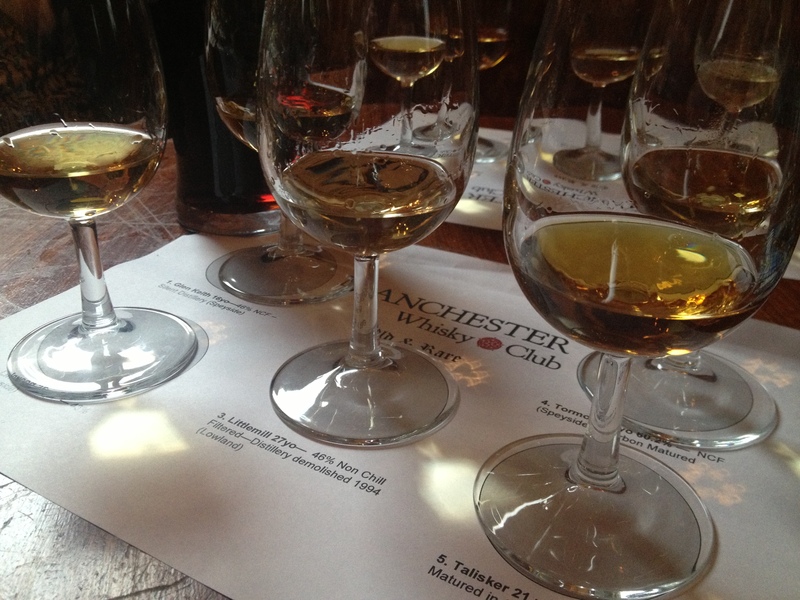 April is nearly at an end, and tonight we could say the same for the fourth instalment of Manchester Whisky Club. Catering for those who want to meet up regularly for a chat with like-minded whisky fans, and a couple of drams to of course chat over. Held at the Lass O’Gowrie, the fourth meeting had a theme like last months Battle of the Blends. 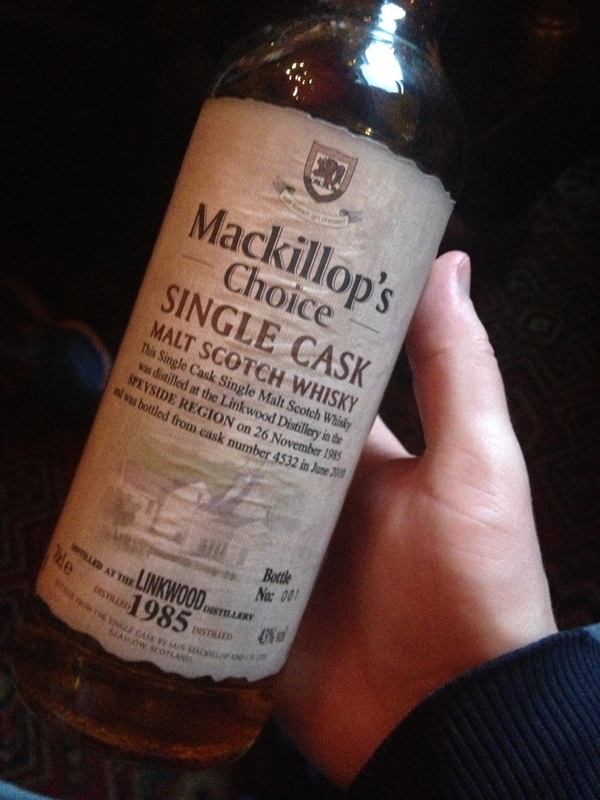 Club founder Andy brought along with him 5 drams to dust off in the aptly named ‘Old and Rare’. A sharp freshness on the nose with hints of malt and oak coming through. A slight sweetness starts off on the palate with flavours of fruit that leads to a warm finish. Sharp nose with aromas of green fruit and a slight soft spice following. Citrus flavours dominate the palate with the fruit counter-balancing slightly. Rather short. Light beginning on the nose but a sharp finish with hints of corn, fruit, dry wood and marzipan. Raisin aromas followed. The palate starts off rather sharp and fresh, although dries out with the flavours of wood and burnt orange coming through. Soft nose with aromas of dry wood, followed by a sharp palate with lively flavours of bold vanilla that creates a dry finish. Fresh leather aromas on the nose with hints of damp wood coming through. Rather soft on the palate with notes of sherry, fresh oak and smoak coming through that creates a long, lingering, fresh yet dry finish. A rare Chinese white wine liqueur. Soy bean and sugar beat aromas with a lingering aniseed flavour on the palate that starts of sweet but ends with a distinctive musty taste. A great collection showcased, with the Littlemill being a hit for me alongside the Tormore. I’d avoid the Wuliangye Baijiu though, a very odd experience! Next month will be the Irish Whisky Tasting with Jameson brand ambassador and fellow Irishman Stephen Carberry. various strategies used to rank highly in specific Google search queries. across all of your social media sites.